When talking about the campsite Sunêlia Aluna vacation, we immediately have in mind the festival Aluna. It is one of the largest cultural events of the municipality of Ruoms, Ardèche Department and Rhône-Alpes Auvergne region. This event takes place in the campsite Aluna vacation every month of June since 2008. The participants and all those or all those who attend this event can enjoy the exceptional setting of open air hotel. One of the instigators of this festival is other than the owner of the campsite named Jean Boucher. He's been helping by show producer Didier Viricel. The Aluna festival is a cultural event which lasts for a weekend on the third weekend of the month of June. He prefers the simplicity and openness to mixed cultural universes. Each edition of this festival is an opportunity for the national artists or international to occur on a warm stage before about 20,000 spectators and viewers by evening. Well-known artists in the world as Johnny Halliday or Yannick Noah already gave performances at this event. Younger artists like Soprano have also already made appearances on the festival stages Aluna. It's also a great opportunity for new artists to make themselves known. Organizers give them an opportunity to show the audience wild. For athletes or those who like competitions, they can participate in various sports including extreme sports. Indeed, this event although it is revolved around music in general also offers moments relaxation for sports. These opportunities are not only reserved for the confirmed competitors, everyone can participate. There are also several other games and entertainment during the days and evenings. The show opens to everyone. Children and adults can all come in Ruoms. 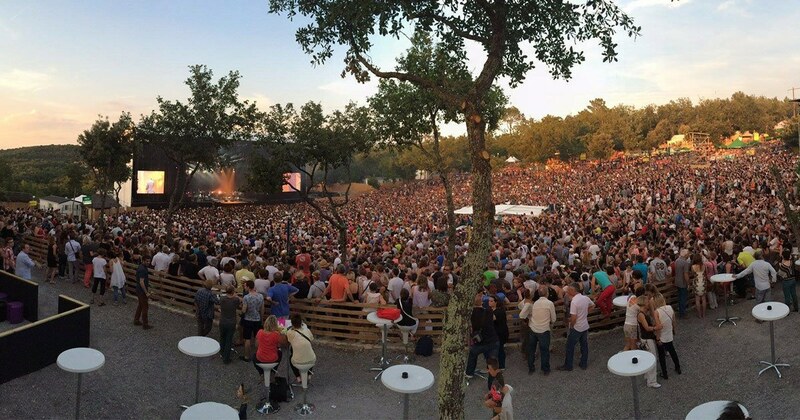 The Ardèche Aluna festival is a boost for tourism in this area. As it brings together a large number of people including foreigners, it contributes to the promotion of the tourism industry. The benefits are not only for the campsite Aluna holiday. All developers and providers of services related to tourism (carriers, hotels, restaurants, merchants, artisans, organizers of activities and many others) earn benefits at this festival. The Ardèche Aluna festival is an opportunity to discover the Auvergne region Rhône-Alpes. In addition to the party as it is, this event also has as its main objective to make known this land and all that it contains. Tourist sites such as the Pont d'Arc, the pont du Gard and the Ardèche gorges are highlighted during the celebration. The local products including wines, poultry as well as fruits and vegetables and chestnuts are also highlighted. All visitors are invited to taste these products. that's the program of this festival! Each year, the festival receives national and international artists and welcomes up to 29,000 people per evening. In 2018, the Festival will take place on 14, 15 and 16 June and you can already book your Places.